Selecting a venue for your wedding can sometimes be the most difficult decision in the whole the wedding planning process. So, to make your decision that little bit simpler, we present one of our favourite venues, the beautiful Makoura Lodge Wedding Venue near Palmerston North. 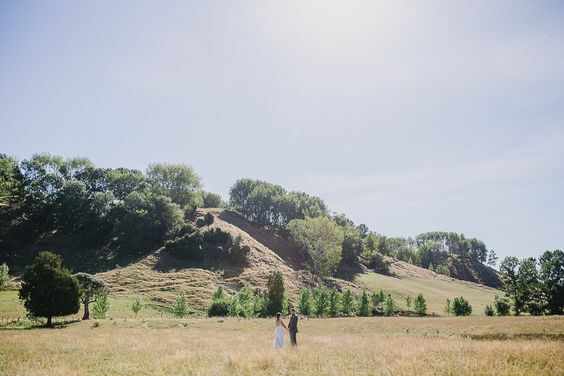 One of Manawatu’s stunning wedding venues is just one hour’s drive from Palmerston North. Surrounded by farmland and native gardens, this venue has it all. Multiple location options for the ceremony, gorgeous backdrops for photos and accommodation for you and the guests. The property has been owned by the McIntyre family since 1896. It is renowned for its hospitality, relaxed atmosphere and homemade food. Exchange vows in the native gardens created especially for the special day. The beauty of this venue is it’s seasonal options. The gardens are perfect and cool for the warmer months, but during the winter and when unexpected weather hits the indoor option has a Makoura Lodge rustic charm. After the ceremony, the guests can make the most of the well kept lawns while enjoying celebratory drinks and can indulge in afternoon activities while the wedding party are out getting photos. The reception lodge can sit up to 110 guests and offers a variety in fresh and organic produce on the menu. Why not make a trip of it and book the lodge for the whole weekend. They offer exclusive use of our; Lodge Accommodation, Glenluce Homestead, Burnside cottage, Glamping tent and our Riverside Honeymoon suite for your wedding, which can sleep a total of 62 guests. Due to the venue’s remote location, many onsite activities are offered to guests staying at the site. Horse trekking and 4WD across the farmland can add extra fun to the special weekend. Learn to ride a horse or play archery at their facilities, and give axe throwing and crosscut wood sawing a go. Clay bird shooting then mini golf followed by a campfire can end the gorgeous weekend on a high note. Winter wedding can also be enjoyed at Makoura Lodge which boasts an open fire at dinner time, and an old fashioned woolshed for photos. The nearby Ruahine Ranges are snowcapped during the cooler months which offer stunning photographic backdrop. The secluded Makoura Lodge Wedding Venue is the most stunning wedding location. Whether it be for a the day, or for the whole weekend experience, this family farm venue has it all.